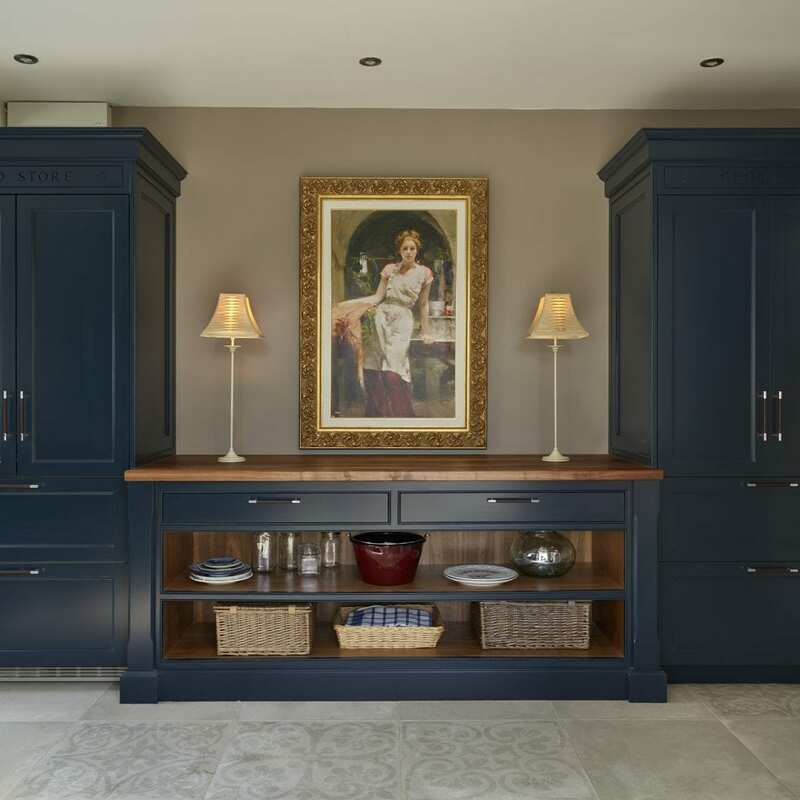 Having built a successful career as an Interior Designer, when it came to planning her own kitchen, Jane had a strong sense of what she wanted to achieve. Jane shares her 4-bed Georgian home with her husband, son and three dogs; Puddles, Lulu, and Milly. With a busy family home and a passion for beautiful interiors, Jane embarked upon an infill extension, connecting the main house to a pre-existing outbuilding. The idea behind the extension was to create the space needed for a new kitchen-diner, utility, and boot room. “Building the extension created room to improve the flow through spaces and also gave me the opportunity to have the large, light and airy kitchen I’d dreamt of for years,” explains Jane. 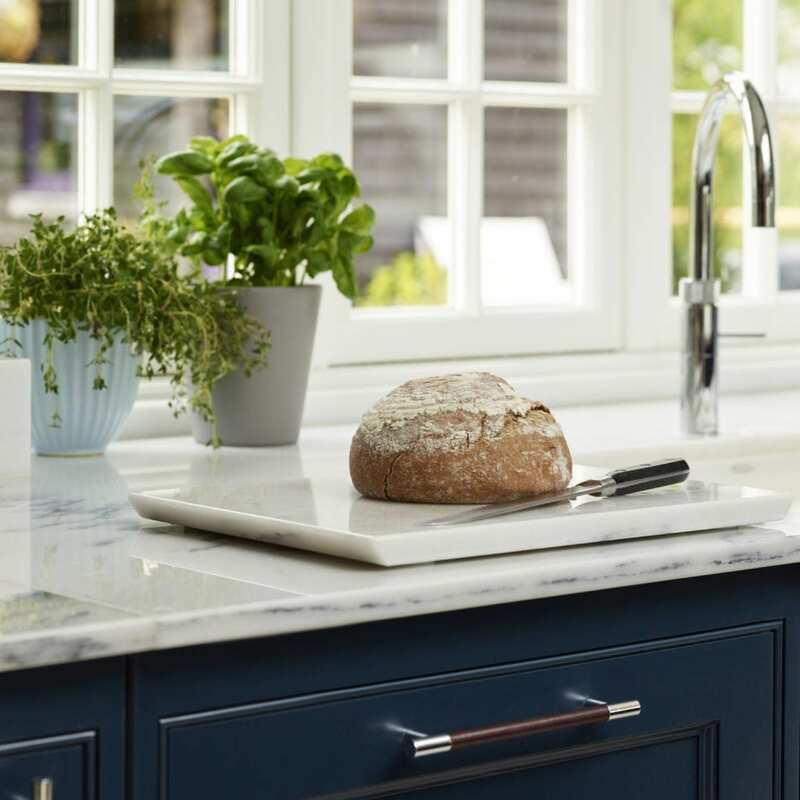 Jane’s kitchen wishlist was well thought out and broken into two categories; the practical necessities of the room and the aesthetic design factors. 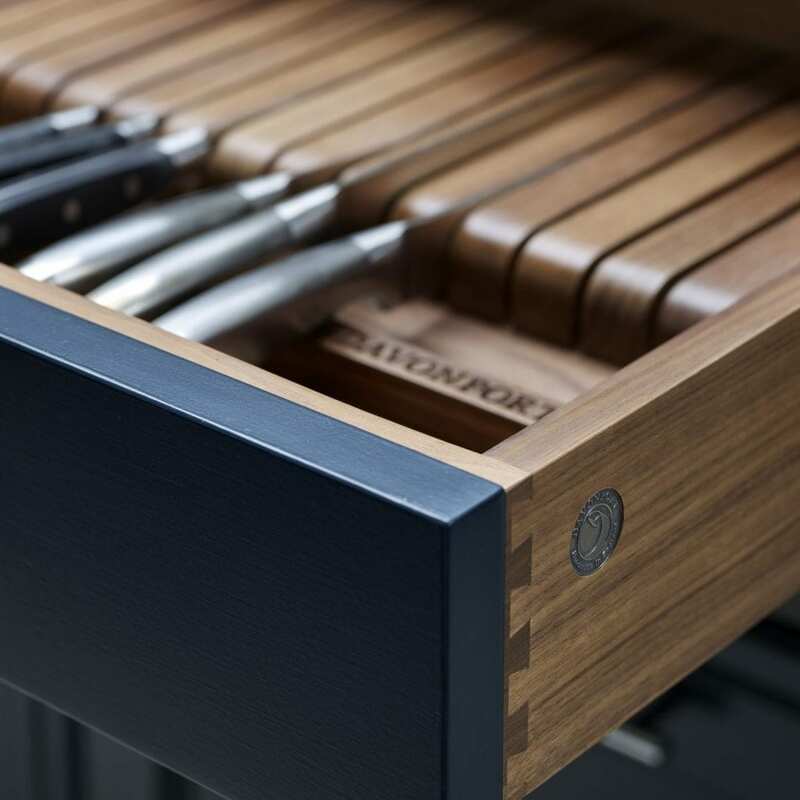 In terms of day to day functionality, increasing storage was top of the design agenda. 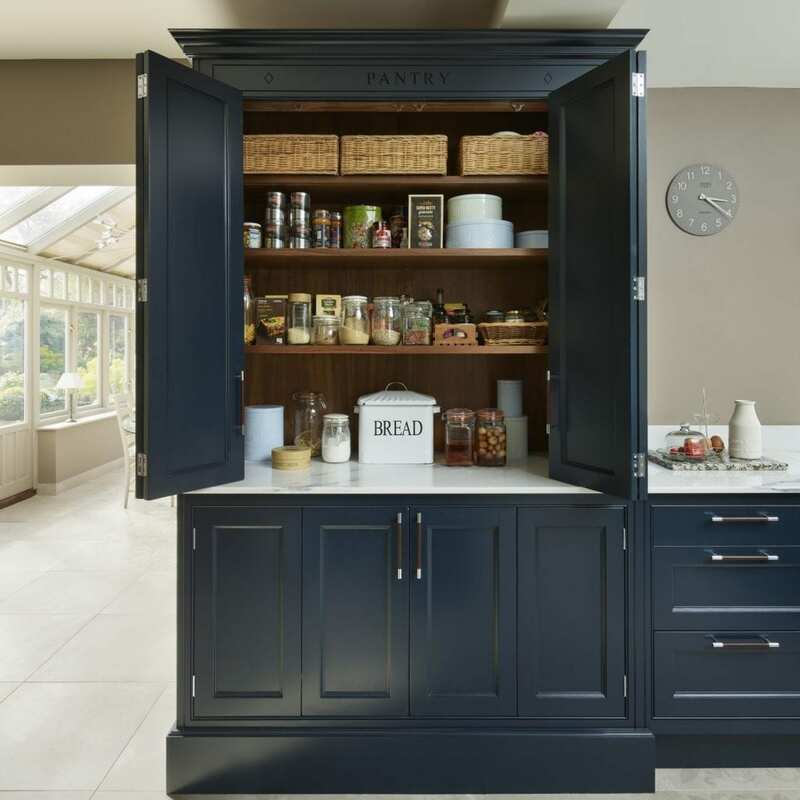 This was achieved by introducing a ‘tea & coffee’ cupboard as well as a pantry with bi-fold doors and deep pan drawers and a knife block within the bespoke cutlery drawer on the island. The old kitchen, which now connects the orangery (which is used as a dining room) with the new kitchen was also utilised for storage. A designated ‘drinks’ cupboard and sideboard/dresser feature in this space, alongside the integrated fridge/freezer. This layout not only introduces additional storage, but also enhances the ergonomics of the room. 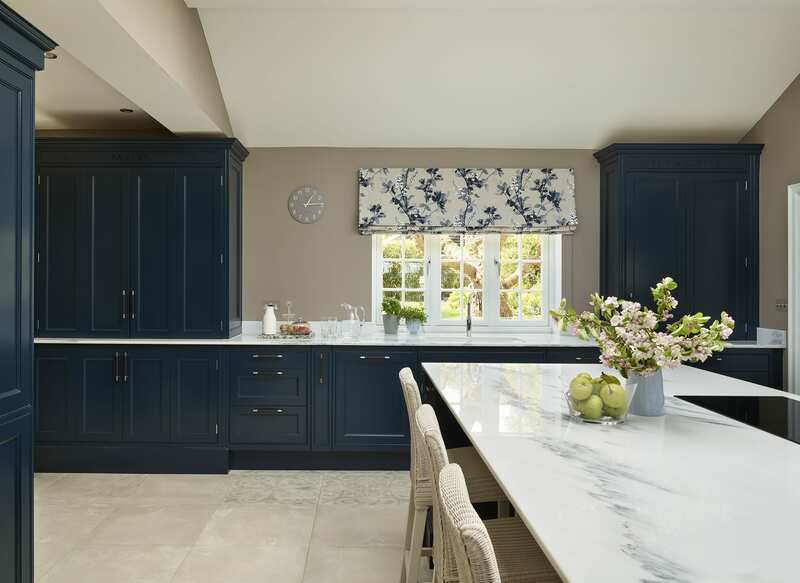 A breakfast bar and plenty of worktop space were also specified on the initial brief; both of which feature on the kitchen island. 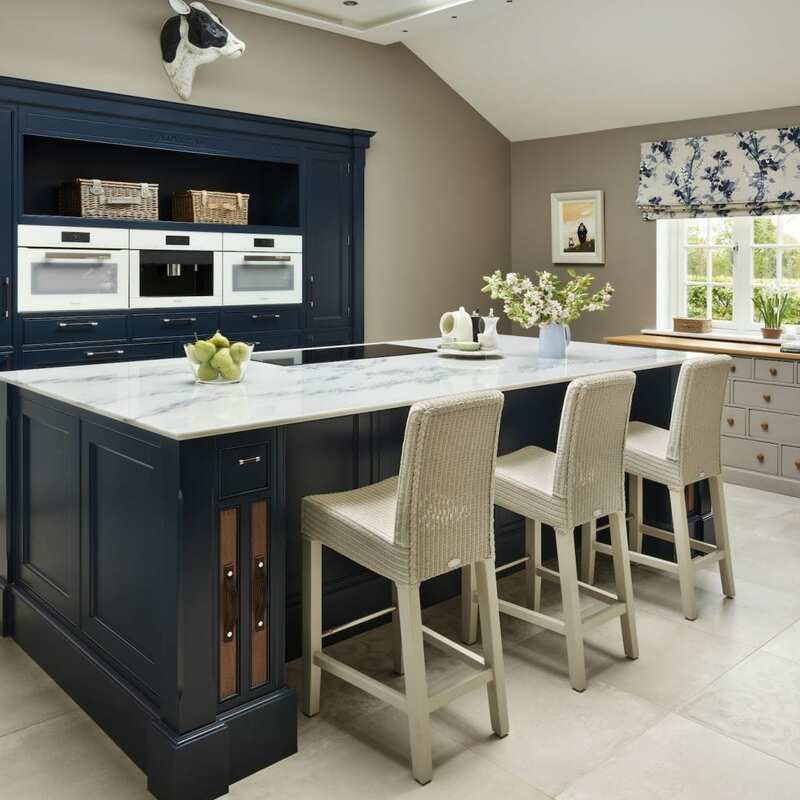 Given her extensive career in interior design, Jane’s real passion for her new kitchen was focused on the aesthetic details of the room prompting much discussion with her Davonport designer; “I spent such a long time refining the details that I had no regrets. I’d encourage anyone to spend time and not to compromise on any aspect.” It was important to Jane that the furniture style felt in-keeping with the Georgian history of the property. 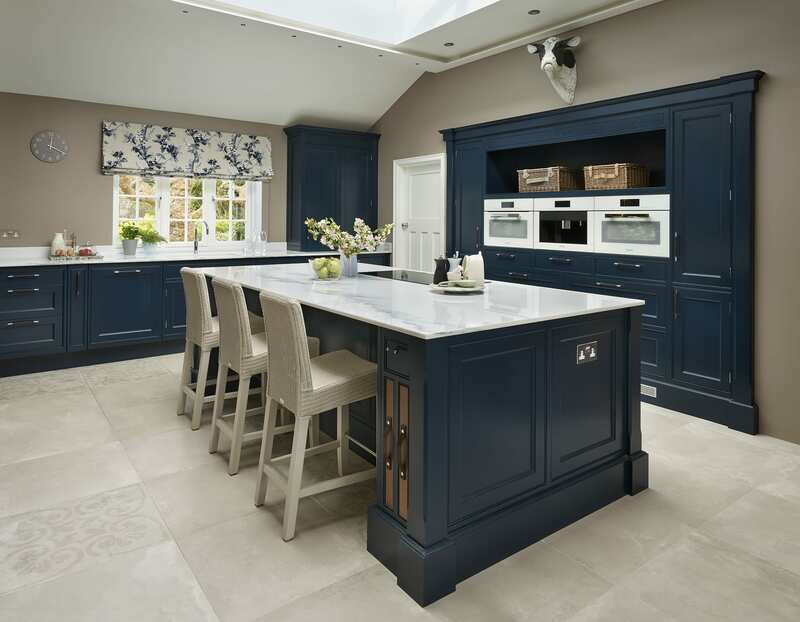 Taking inspiration from our Audley style, the kitchen furniture itself has a subtle architectural edge, perfect for the Georgian heritage of the building. When it came to choosing a colour scheme, Jane was torn. Having spent years working on interior projects that revolved around a grey colour palette, Jane wanted to try something more daring for her own home. 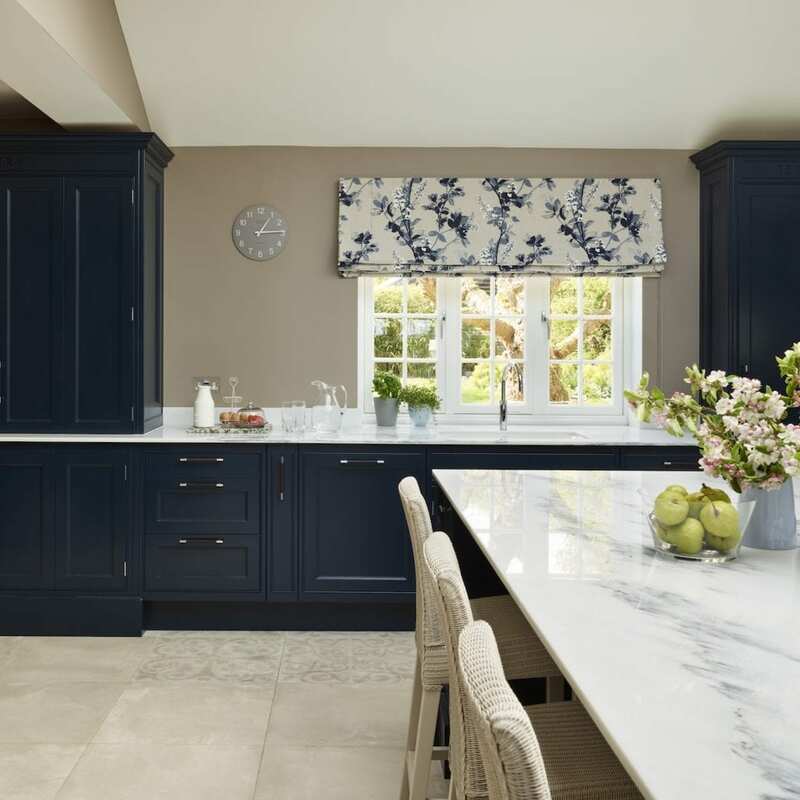 “I’d initially decided to have different shades on the island and wall units, but found it tricky to find two or three complementary colours to work with the white marble worktops, so I went for one statement shade instead,” explains Jane. 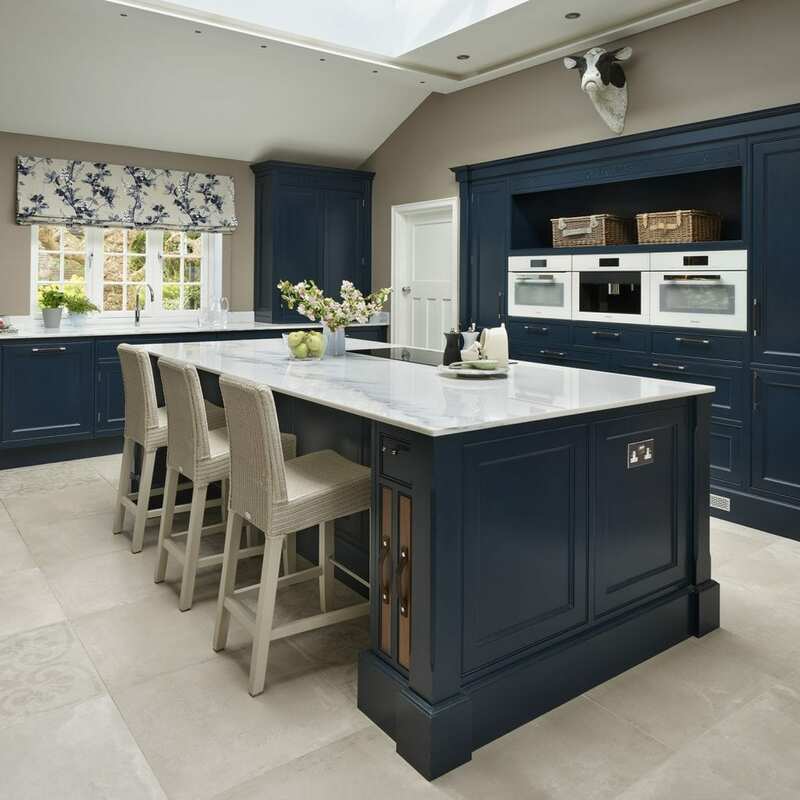 The dark blue hue used throughout the room is perfectly balanced by the white worktops, soft grey floor tiles, and of course, the ample natural light that floods the space thanks to the skylights in the newly constructed vaulted ceiling. “I love how practical my new kitchen is. There’s lots of worktop space and tons of storage, but it’s a stylish and social room at the same time. The design has a real wow-factor and with links to the dining room and garden, it’s great for entertaining” concludes Jane.